At present every business requires a website. Planning for website looks and functionalities can be difficult. That’s why several firms use WordPress website development services. WordPress services with its rising popularity have become one of the most prominent platforms to build a website. Almost 25% of all websites use this platform. For instance, there are top-notch companies such as CNN and The New York Times using this service content management system. Imagine you’ve planned the name of a company and got it registered and done with all the details but what you can’t decide is what platform to use for your business website. Many of them might have asked you to use WordPress however you’re simply unsure if it’ll be adequate as your official business website. So, here are a number of explanations which may assist you to come back to the conclusion in favor of WordPress. Gone are the days when building a website would cost you an arm and a leg. WordPress designing and development is extremely cost-effective. Additionally, the upkeep and maintenance expense is relatively cheap as you can do it on your own instead of hiring a designer every time you need to update the content of your site. If you choose to develop WordPress Theme Website, you can make changes to your site anywhere, anytime as long as you have access to the Internet. You get thousands of WordPress plugins that add functionality to your website and most of them are free! Plugins are key components in WordPress. It makes WordPress the best platform for startup and small businesses to build a website. The benefits you can make to your website using plugins are infinite. WooCommerce – for online stores. Instapage – used for your Google Adwords campaigns and lead generation. WP Rocket – great for speeding up your site. WordPress is SEO friendly. Websites developed using WordPress services have simple and constant codes making them perfect for Google indexing. SEO elements for each page can also be customized giving you full control on which pages you want to rank high in search engines. This is a highly effective way to earn inbound links to your site. Every time you post a new content in your blog, it can automatically go to an RSS feed, making it easier for others to syndicate your content across directories and other websites. Responsive web design is no longer an option but a mandatory feature. 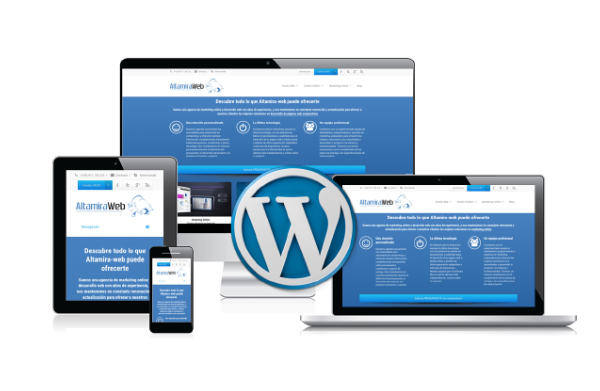 When you use a WordPress website design, you automatically get the benefit of responsive web technology without the need to develop separate websites for different devices. Adding new functionalities and features can be extremely inconvenient for traditional websites, especially those that are created using sophisticated platforms. This is the exact opposite for WordPress-based sites. There are plugins that you can easily install which typically takes very few steps. In an era of digital marketing, fresh content is very important. A WordPress theme website has an advantage over the traditional ones. You can also update your site’s design within a fraction of second making it an ideal platform for tactical campaigns. Moreover, being able to update your content frequently will help you and your organization build credibility in your niche. Another advantage if you choose to develop WordPress Theme Website is the seamless integration with social networks. You don’t need to login to your, Twitter, Facebook or Google+ LinkedIn accounts one by one and automatically let your social networking community know that you have fresh content for them. One of the basic criticisms against WordPress designing and development, when it was first conceived, is poor security. This myth has been resolved. As long as you have good WordPress web designers, you can protect your site’s security and make it hacking-proof. Do You Need to Switch to, or Start Using, WordPress? Are You looking for the best WordPress website Development Company? If you are planning to start a new website, then we encourage you to go for it and don’t look back. However, if you are considering switching your current website to WordPress, then you need to make sure it is the right decision and know the proper migration process before you make the switch. 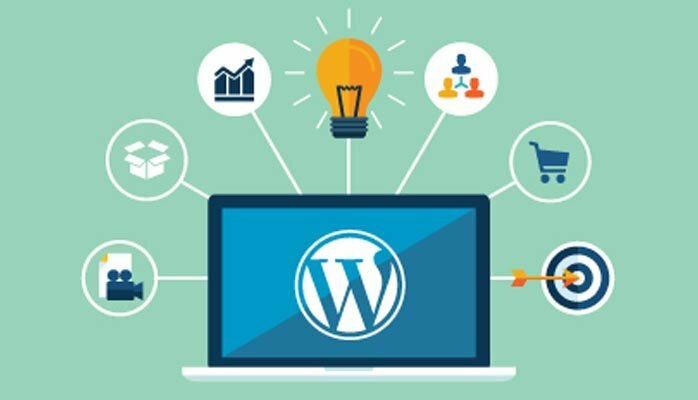 Ultimez Technology, Top web development company in Bangalore is specialised in WordPress website design, providing complete support of the WordPress services and the websites. We help you to add and set up new plug-ins, implement new features while your website is evolving with functionality. We say we are the Excellent across the world but we also prove it as best WordPress Development skills and make happy clients. Ultimez Technology is a WordPress development company Bangalore; we are here to provide you with any kind of web related solutions. When you employ enthusiastic developers to build your website, you can make choices of our professionals on various projects that you have to make complete.